You got Acne all around on you Face! Don't Worry, There are hundreds of Ways to Treat Acne at Home with Natural Ingredients. First, You need to keep certain things in your mind. What is Acne? How it occurs on your Skin? What are the possible Ways to Treat Acne? Will Acne be treated at Home or When you should consult a Doctor. Now sit tight and I will try to solve any complications that revolves in your mind. Acne is a skin disease or a type of Infection that occurs on your Skin due to several reasons. It occurs on your skin when Hair follicles are clogged with oil glands and dead skin cells. The symptoms of Acne include (Pimples, greasy skin, Whiteheads and Blackheads) appears on Skin. Mostly, Acne affects the areas of Face, Chest and Back of Human body. Why Acne Occurs on Skin? 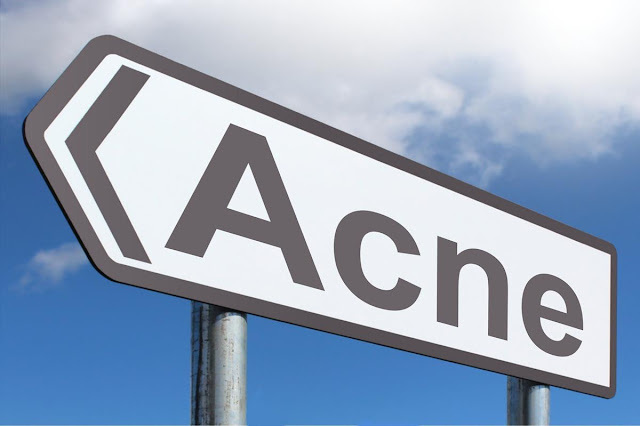 Acne occurs due to Increase in Hormones such as testosterone. It appears on Skin due to Greasy Bacterial Oil glands. Acne Appears due to Dirt in the pours of Skin for long time. Now, I'm going to give you Some of the Best Home Remedies for the Treatment of Acne. Take a Lemon and Extract its Juice in a small Bowl. After that, Mix a tea spoon of Pure Water in it. Mixing of Water in Lemon juice is Necessary, as it contains Citric Acid and can Damage your Skin if it is used without water on Sensitive. Now, Gently apply the Solution on your Face daily. It takes about 3 to 4 weeks to cure. (If you skin is too sensitive then Skip this remedy and Read Other Below). You should Wash your Face twice in a Day once at Morning and other while going to sleep. and try not to touch hands with your Face, I know its difficult to do but you have to do it. And Always Apply some moisturizer after washing Face. This is maintain enough oil for your Skin to escalate Dead Skin cells from your Face. You should drink atleast 2 to 3 liters of Water Everyday. It helps to maintain your Skin Fresh and Healthy. Water gives you Energy and also helps to remove toxins out of your body. Make sure, Your body always stay hydrated. Drinking of Water also removes scars from your Face and make your Skin Bright and Glow. Acne can be further increase by Sunlight. So, you need to stay away from Sun light. Sunlight will damage and Burn your Skin further. If going outside is necessary, make sure to apply Sun screen on your Face and also use Sun glasses. Benzoyl peroxide is used to kill the bacteria/germs that causes Acne. It is an Antiseptic used for treatment of acne. It can also remove Dead Skin cells from your Face. According to research, 2.5% concentration of Benzoyl peroxide is highly Effective for Skin. It is also less irritating than Lemon Water. It is a highly effective home remedy used to treat Acne at home. Tea tree oil has anti-inflammatory and of anti-aging properties that can cure your skin from Redness. Tea tree oil is as just effective as Benzoyl Peroxide. Before Apply, You should dilute (Mix Water with Tea tree oil) or it may irritate your Sensitive skin. Regular use of wild Honey on your is highly Effective and has no side effects. Honey can make your skin bright and glow. It has anti-bacterial and anti-inflammatory properties. It helps skin to cure Acne, remove dark spots and scars from your face. Eat fresh fruits and vegetables daily. Make a proper schedule for you diet. Eating of salad gives Energy and ability to your immune system to fight with toxins. Eating of Fresh fruits will give you Vitamins(A, C and D). This will keep you healthy and makes your Skin more bright and Beautiful.